This is a big show. A big big big show which opens with a chorus of 42 pairs of tapping feet as the curtain rises as if to say, top this! Sheena Easton is still out with the ‘flu, so CJ Johnson is playing the brittle and slightly past-it Dorothy Brock, and she’s a knockout. The Boulevard of Broken Dreams number is marvellous, and I Only Have Eyes for You is sweet. As the young juvenile Billy Lawlor, Stuart Neal has bags of energy, and his musical comedy made me think of the great vaudevillian Bert Wheeler, a comic hoofer who also sang and played the eternal youth. The pivotal role of Peggy Sawyer, who ‘goes out a youngster, but has to come back a star’, only works if the actress has that sprinkling of fairy dust which makes you think she has it, and Clare Halse has the innocence of a Ruby Keeler as well as the steel of a Ginger Rogers. Tom Lister’s Julian Marsh may well be charmed by this fresh young thing who still believes in her dreams: she makes him less jaded, he makes her more knowing. Also of note in the leading cast are Jasna Ivir and Christopher Howell as writers and low comedians Maggie and Bert. Howell teams with Emma Caffrey’s Anytime Annie (‘the only time she said no she didn’t hear the question’) for Shuffle Off To Buffalo, while Ivir leads the girls in Go Into Your Dance. I also like Bruce Montague’s hick millionaire Abner and Graeme Henderson’s dance captain Andy, the former a good comic foil and the latter an accomplished showman. 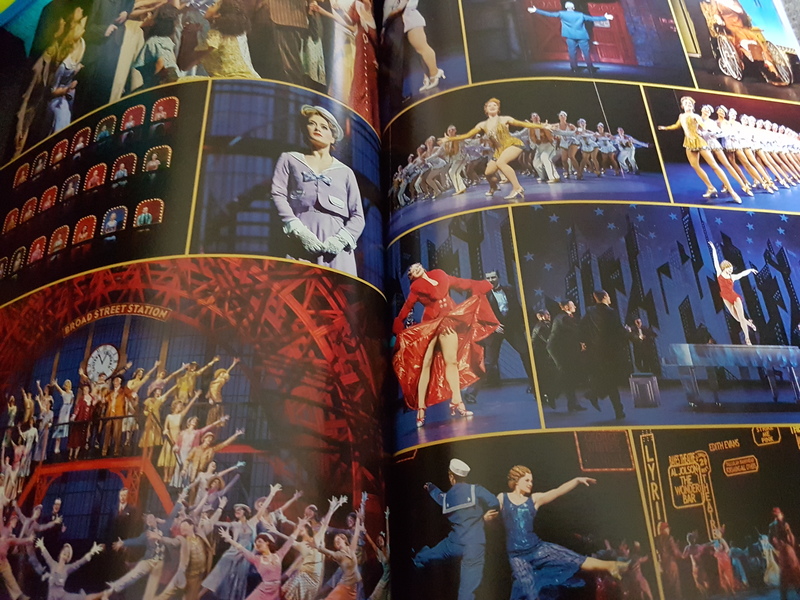 As for those routines, we get big staircases, a railway station, a mirror which reflects reclining ladies in a sequence which apes the best of Busby Berkeley, chorus lines of high camp and high kicks, beautiful costumes and countless set changes. The songs are by Harry Warren and Al Dubin, direction by Mark Bramble, and the fabulous orchestra is conducted by Jae Alexander. This entry was posted on Sunday, May 7th, 2017 at 3:05 pm	and tagged with 42nd street, theatre royal drury lane and posted in musicals, theatre. You can follow any responses to this entry through the RSS 2.0 feed.